First National Pictures, Inc., 1933. Directed by William Wellman. Camera: Sid Hickox. 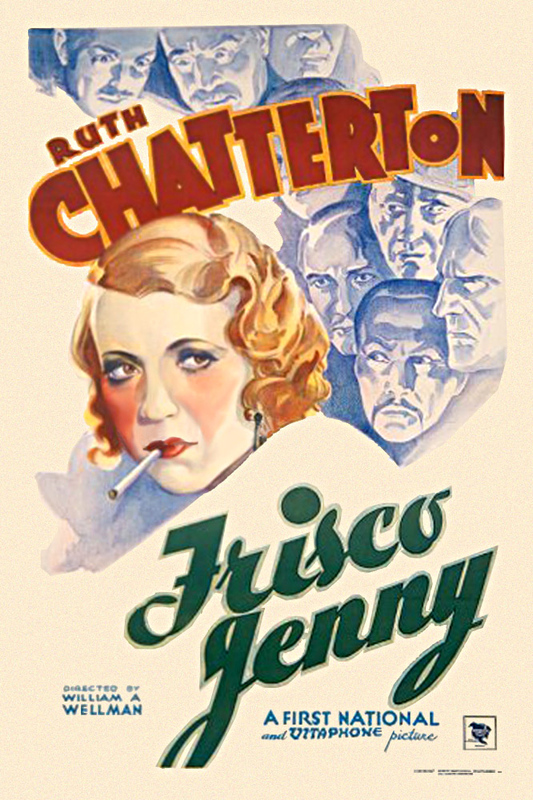 With Ruth Chatterton, Louis Calhern, Helen Jerome Eddy, Donald Cook, James Murray, Hallam Cooley, Pat O'Malley, Harold Huber, Robert Emmett O'Connor, Willard Robertson, Frank McGlynn, Sr., J. Carroll Naish, Noel Francis, Sam Godfrey, Franklin Parker, Buster Phelps, Berton Churchill, Edwin Maxwell, Robert Warwick, Harry Holman, Fritz Ridgeway, Clarence Muse, Nella Walker, Gertrude Astor, Claudia Coleman.